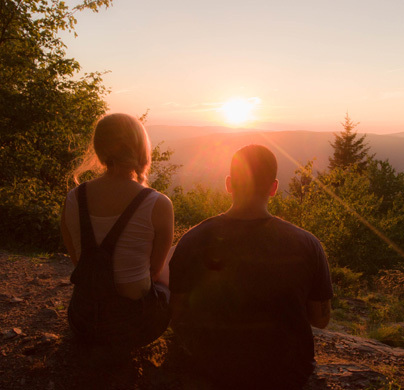 Take in the sunset from Sunset Rock on the Hoosac Range while sipping on hot apple cider! Update: We’re expecting some chilly weather and potentially icy and/or snowy conditions, but will be doing the hike regardless! Please come prepared with micro-spikes/traction and snowshoes just in case! Description: Join BNRC staff to watch the sun set with hot apple cider over the city of North Adams. 1.5-mile roundtrip hike with moderate climbs to the overlook. Bring a flashlight or headlamp for the hike down. BNRC will provide hot apple cider, but feel free to bring snacks and your choice of warm drink! Please bring water, wear sturdy footwear (consider snowshoes and/or micro-spikes) and bring appropriate clothing.